Stanley Hamer Ford was born on 30 January 1877 in Columbus, OH. Ford graduated from Ohio State University with a Bachelor of Philosophy degree in 1898, and was a member of the Sigma Alpha Epsilon fraternity. 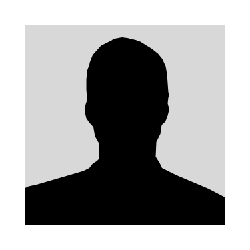 He was then commissioned as a Second Lieutenant of Infantry in the U.S. Army. Ford saw service in Cuba and the Philippines during the Spanish American War, serving with the 16th Infantry in Cuba and the 25th Infantry in the Philippines. After the war he served in a series of staff and command assignments, including Infantry and Quartermaster postings to Jefferson Barracks, MO, Washington, DC, and the installation now known as Fort Drum, NY. During World War I, he served as Assistant Chief of Staff of the 84th Infantry Division and Chief of Staff of the 27th Infantry Division. Ford continued his Army career after the war, completing the General Staff College in 1920. He served as Commander of the 16th Infantry Regiment from 1924-26. 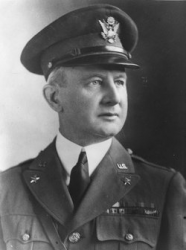 From 1926-30 Ford served as Assistant Chief of Staff of the Army's Military Intelligence Division. 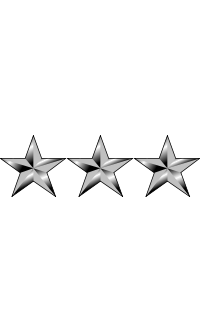 Ford attained the rank of Brigadier General in 1930. In the early 1930s, he served as Military Attaché in Paris, France. He then commanded 1st Brigade 1st Infantry Division. 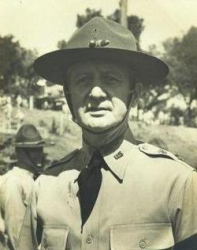 After his brigade command, Ford took command of the Philippine Department. Ford was promoted to Major General in 1936 and to Lieutenant General in 1939. He successively commanded 1st Infantry Division, VII Corps, and VI Corps. As Commander of Second Army, Ford oversaw execution of large scale maneuvers and exercises by active Army and National Guard troops that enhanced their readiness in anticipation of fighting in Europe and the Pacific during World War II. Ford ended his military career upon reaching mandatory retirement age in January 1941. In 1940, Ford received an honorary Doctor of Laws degree from the Ohio State University. During World War II, he assisted John F. O'Ryan, the World War I commander of the 27th Infantry Division, during O'Ryan's assignment as New York State's Civil Defense Director. Stanley Ford married Lona Pace in 1904. Their son, Hamer Pace Ford (1905-1950) graduated from West Point in 1924 and was a career Army officer, attaining the rank of Colonel before his death in Berlin, Germany. In 1933, General Ford married Katherine Welch of Philadelphia. Lieutenant General Stanley Hamer Ford died on 19 January 1961 at the Army's Carlisle Barracks while enroute to John F. Kennedy's inaugural. He is buried at Laurel Hill Cemetery in Philadelphia, PA.